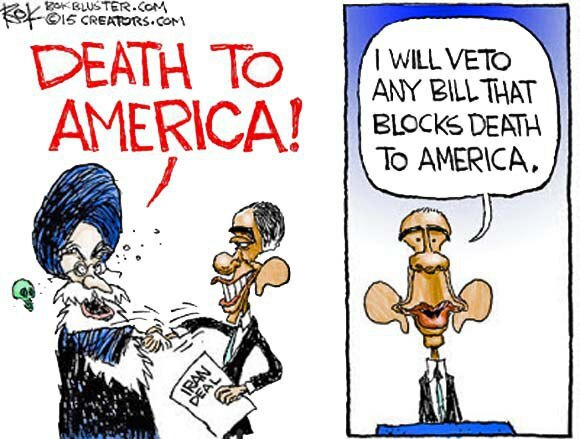 In an exclusive interview with the FARtz News Agency, President Obama today voiced firm support for any deal bewteen Iran and the International Atomic Energy Agency permitting Iran to know for sure what it hasn’t been doing at its alleged military sites. Editor’s note: This is a guest post by my (imaginary) colleague, the Very Honorable Ima Librul, Senator from the great State of Confusion Utopia. He is a founding member of CCCEB (Climate Change Causes Everything Bad), a charter member of President Obama’s Go For it Team, a senior member of the Senate Foreign Relations Committee and Chairman of the Meretricious Relations Subcommittee. He is also justly proud of his expertise in the care and breeding of green unicorns, for which his Save the Unicorns Foundation has received substantial Federal grants. We are honored to have a post of this caliber by a quintessential Librul such as the Senator. Secretary Kerry and I are both delighted with any deal between the International Atomic Energy Agency and Iranian officials which helps Iran to become more introspective. Introspection is good for the soul and I Myself engage in it often to help Me understand the very few instances in which I may have made mistakes and to atone for them. Almost always, I discover that I was right in the first place and wrong in even considering the possibility that I might have been wrong. If in the past Iran mistakenly declared that it had never attempted research and development of nuclear weapons, its own inspection of Parchin and other alleged military sites should be instrumental in discovering its mistake and advising the World. For example, many years ago Iranianian scientists may have rubbed two pieces of Uranium ore together and, upon discovering that they did not explode, given up all hope of ever trying to develop nuclear weapons. My administration and Iran’s other friends need to know. 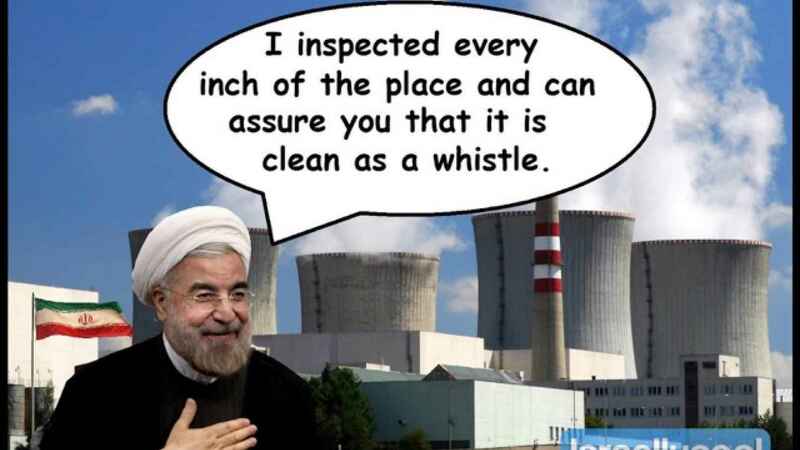 Then we can put aside any and all lingering doubts about Iran’s exclusively peaceful nuclear program. World reaction to Obama’s remarks was swift and almost entirely favorable. a committee selected by Iran’s Supreme Leader shall have sole authority to determine which, if any, remaining sanctions will be lifted, when, and whether any possibility of their reimposition — or the reimposition of previously removed sanctions — will be permitted. Obama’s deputy under secretary for press relations stated that Obama had immediately set to work crafting such a decree. Speaker Boehner declined the invitation, lamenting that his miniscule budget does not permit him to acquire any possibly necessary anti-radiation clothing. He did, however, offer tearful thinks to Senator Krutz for the confidence he had placed in his ability and scientific knowledge. It is indeed a sad day for America when even a right-wing Israeli paper such as Haaretz is less critical of our Dear President than some tratorious, racist Republicans such as Senator Krutz. President Obama, a very sensitive and loving person, needs our unstinting help. In this, His time of need, we must all stand behind Him as He battles the forces of oppression, ignorance and racism sadly still rampant in the U.S. Congress. This entry was posted in Appeasement, Boehner, Congress, Diplomacy, Dishonor, Executive Decree, Foreign policy, Haaretz, Humor, IAEA, Iran - side deals, Iran nuke inspections, Iran sanctions relief, Iran scam, Iranian nukes, Israel, Khamenei, Libruls, Media, Netanyahu, Obama, Obama's America, Obama's legacy, P5+1, Right wing extremists, Satire, Ted Cruz and tagged Appeasement, Boehner, Congress, Diplomacy, Dishonor, executive decree, Foreign policy, Haaretz, Humor, IAEA, Iran - side deals, Iran nuke inspections, Iran sanctions relief, Iran Scam, Iranian nukes, Israel, Khamenei, Libruls, media, Netanyahu, obama, Obama's America, Obama's legacy, P5+1, Right wing extremists, Satire, Ted Cruz. Bookmark the permalink. Holy cow you are good at sarcasm.